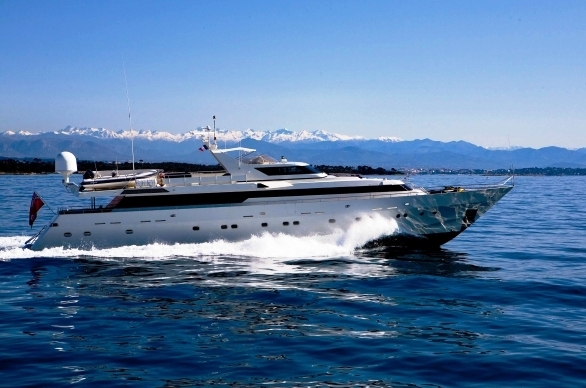 SUNLINER X is a 36,00m (118' 1") yacht, which was built in 1990 by Siar Moschini and refitted in 2014. 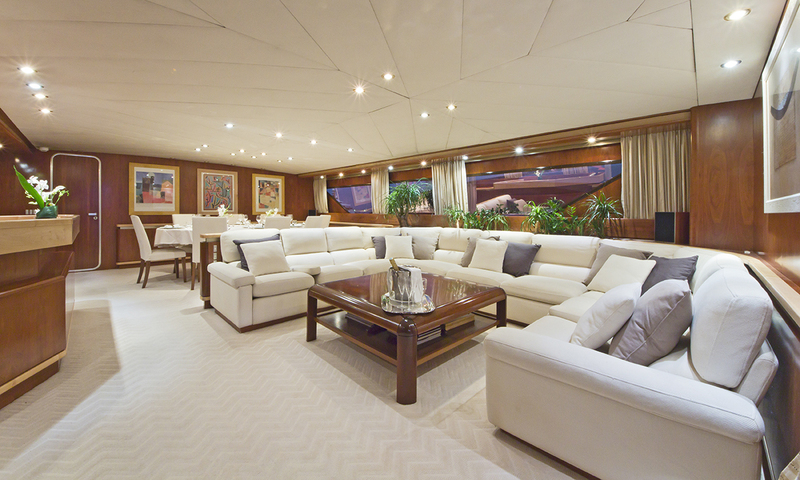 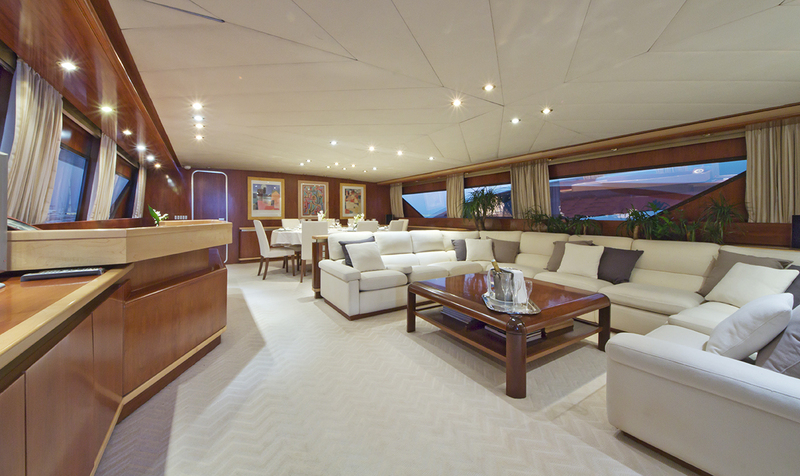 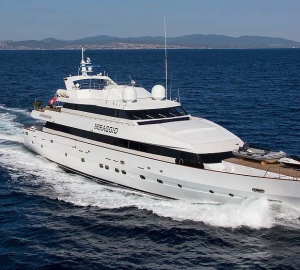 This superyacht can accommodate up to 8 guests in a master, two double and one twin cabin. 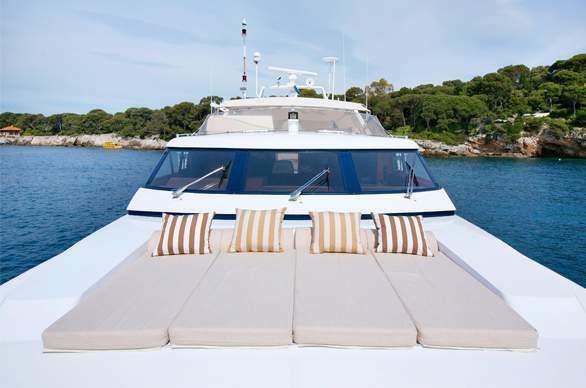 SUNLINER X has sweeping open decks spaces and a light cool interior which creates a relaxed atmosphere onboard. 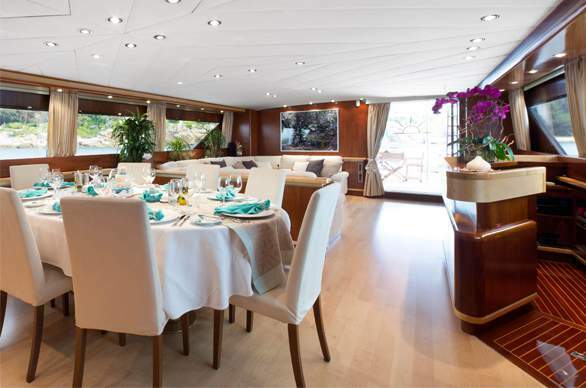 This motor yacht has a highly professional crew of 6 who will offer you the finest gourmet dining, uncompromising service and world-class cruising. 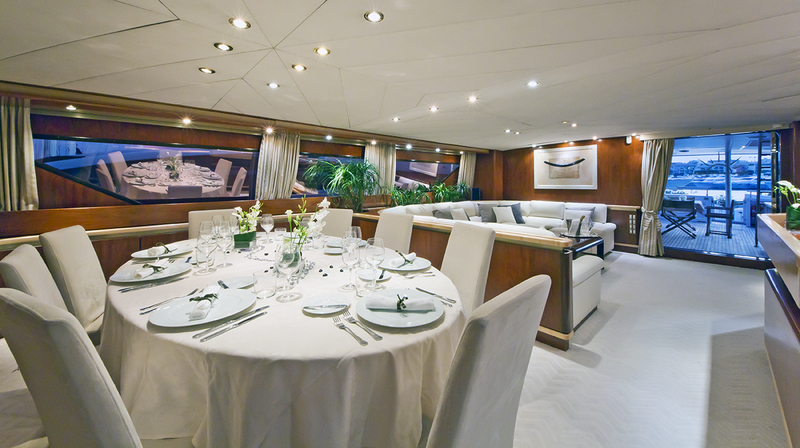 SUNLINER X is available for Static Events (at the quayside) and can host up to 45 guests comfortably, but will accept up to 60-70 guests. 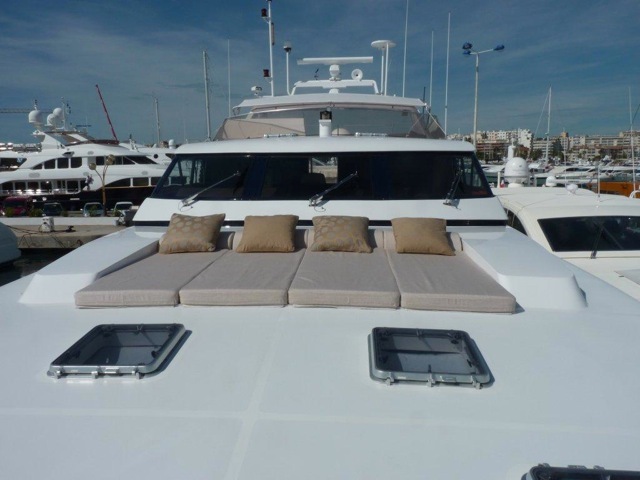 She has her tent for the flybridge to be used during static charters. 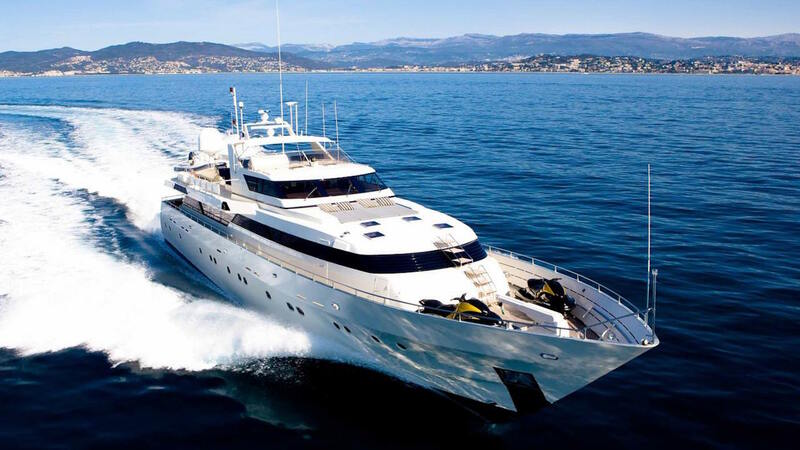 A pair of 3,500hp MTU engines provides a cruising speed of 20 knots with a maximum speed of 30 knots ensuring charter guests the option of action-packed itineraries. 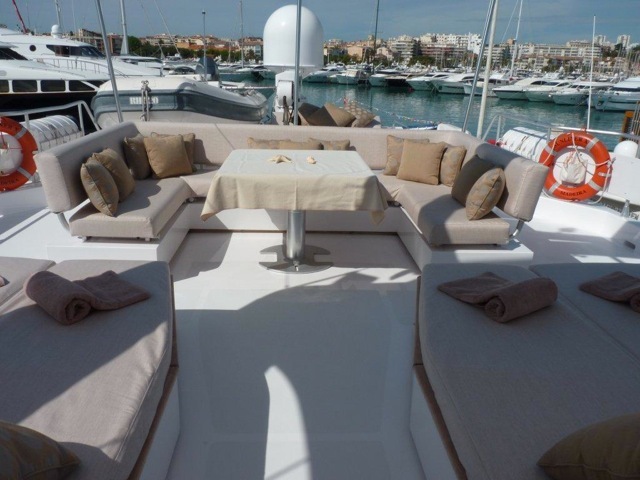 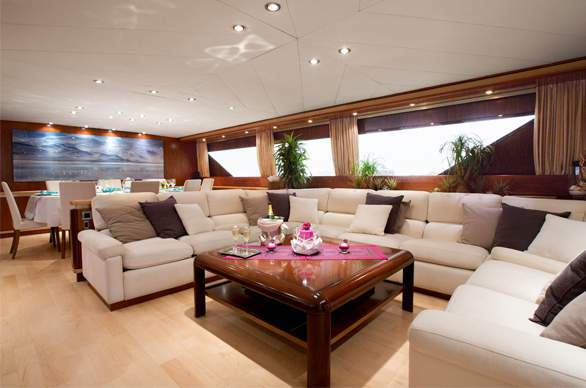 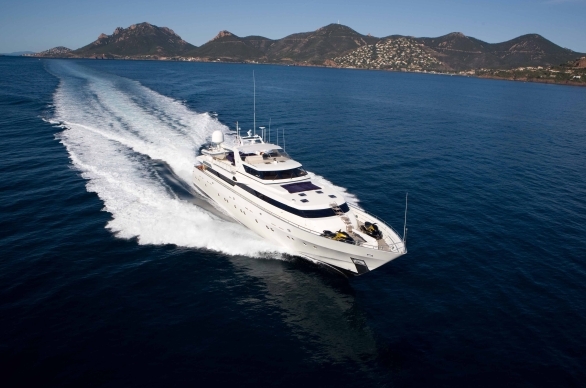 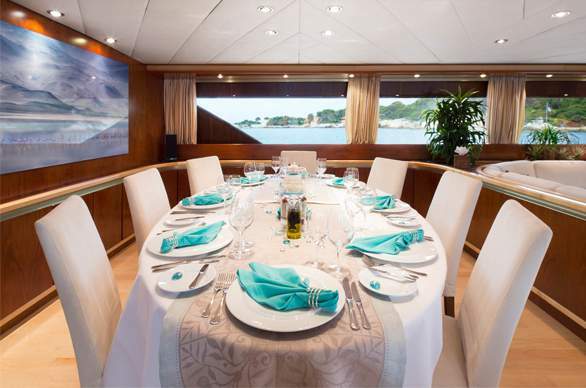 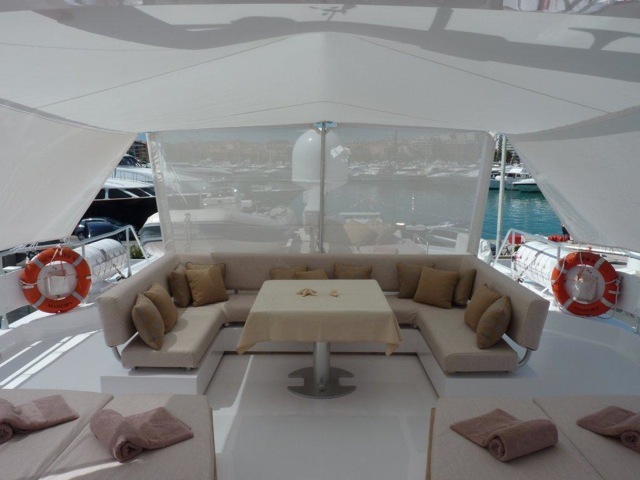 Motor yacht SUNLINER X can accommodate a total of 8 guests in 4 guest cabins which are situated below deck. 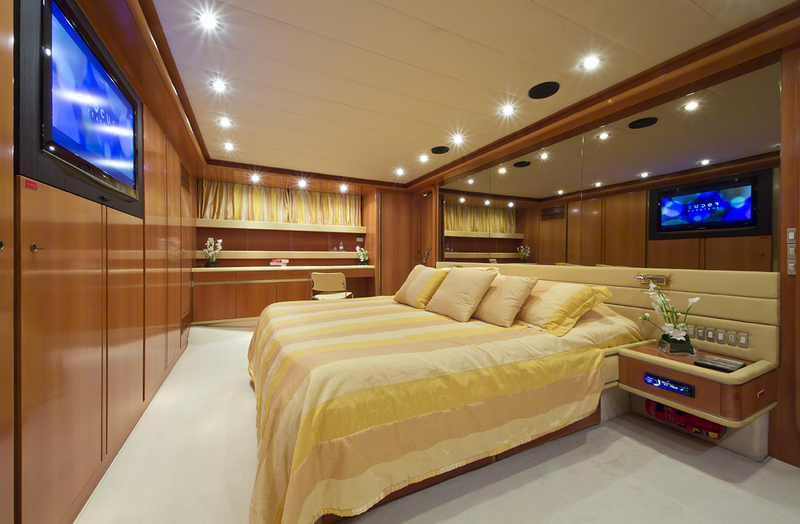 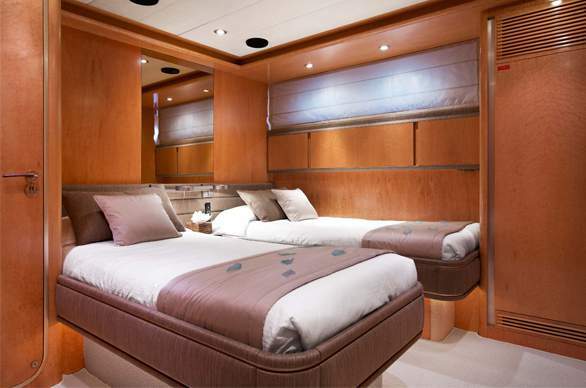 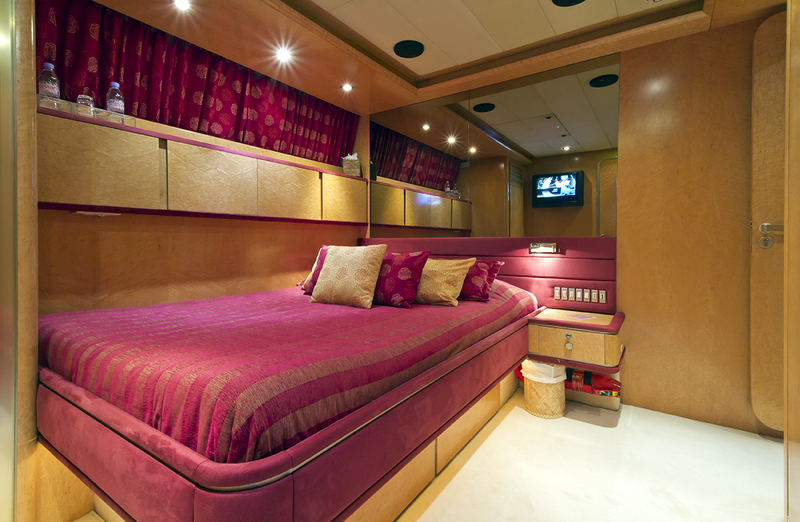 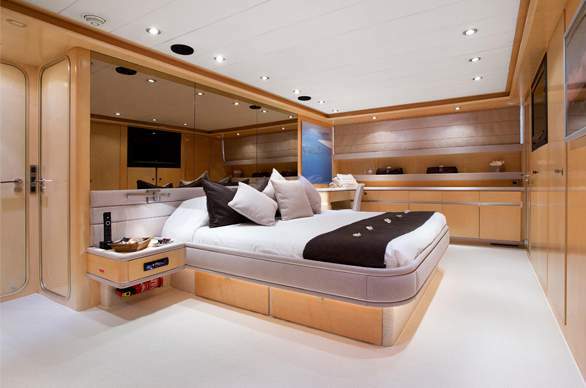 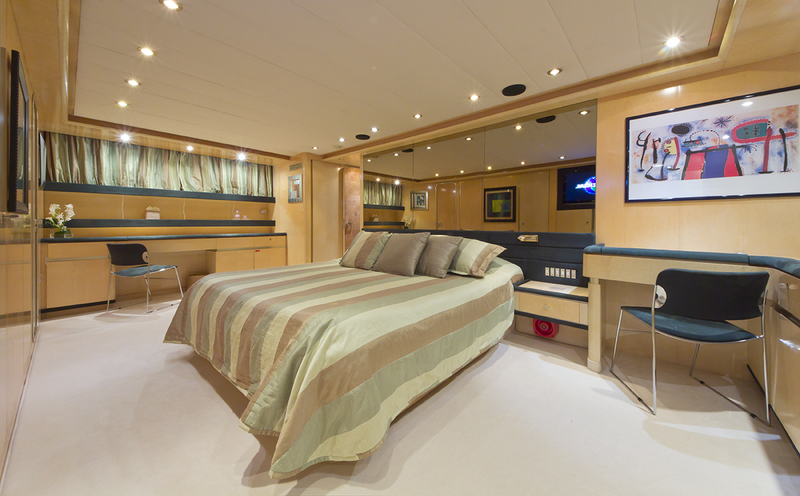 Her Master cabin has a king size bed, a TV/DVD player, satellite television and an ensuite with Spa Pool tub and shower. 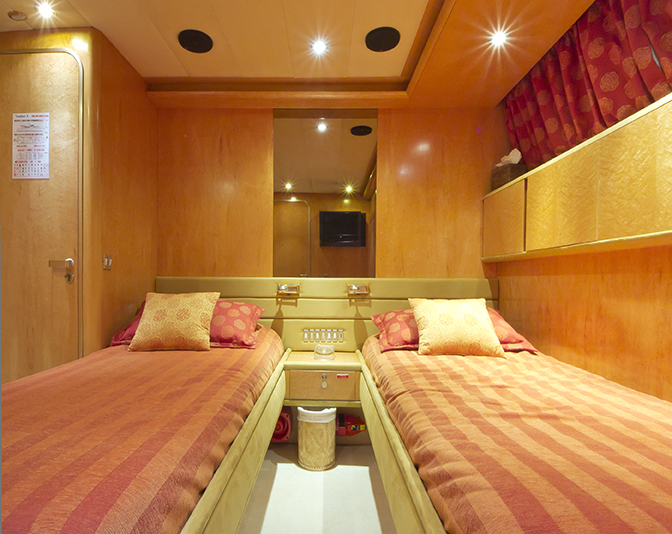 Her two guest doubles have queen size beds and showers as well as a TV/DVD and satellite TV's. 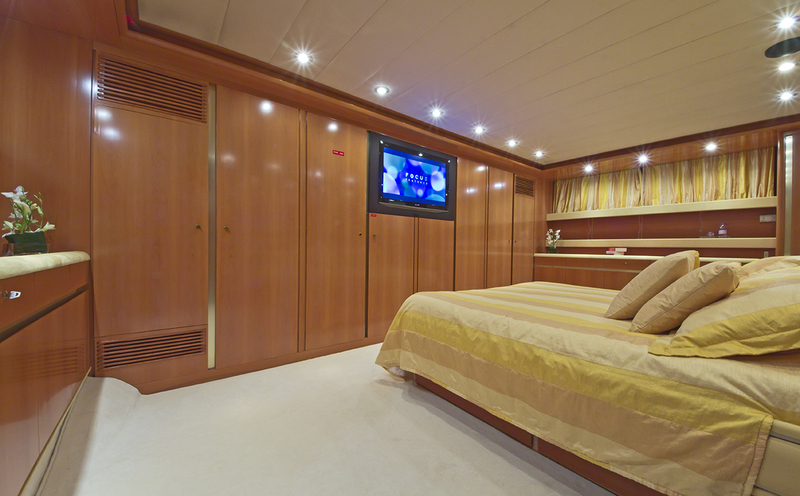 The twin cabin has a shower, TV/DVD and satellite TV.